Invisiblemadevisible : UK Street Art & Culture: Invisiblemadevisible blog is live! Wooohooo we are live..well sort of, we finally have the blog up and running, although there are still a few tweeks to finish. Having neglected the Invisiblemadevisible site for far to long, I am now working on updating the whole site so bear with us. All the links in the navigation are linking to the old site at the moment once the site is fully finished we will let you know. 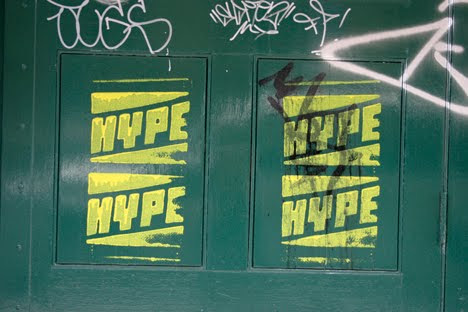 Hype Hype courtesy of Skewville.